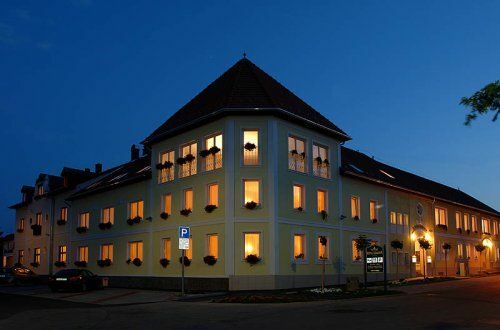 Hotel Korona is the first private Hotel in Eger. 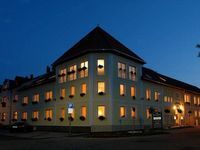 This hotel is situated in the most quiet green area of the baroque city centre, near the pedestrian street. Monuments, sights and cultural programs give you at least a week's occupation in Eger and its surroundings. In 52 double rooms the hotel can accommodate up to 120 people. Among our rooms you can find VINTAGE WINE TEMATICAL double rooms luxury suites, superior, double room, king size bedrooms, triple bedrooms or family apartments. All rooms are equipped with bathroom, toalette, hairdryer, television, mini bar, telephone, bathrobe. All our rooms are non-smoking and air-conditioned . During winter the restaurant, in summer the terrace guarantee a pleasant atmosphere for the cuisine of the Hungarian dishes. We organise dinners with wine tasting and wine gastronome evenings in the more than 220 years old István Cellar & National Wine Museum. We are at your disposal with all of our services: conference room with the capacity of 120 people, private car park, souvenir shop, telefax, sauna, fitness room, safety box and not to forget the famous Hungarian kitchen in our restaurants and cafe house. The real attraction of Eger is our 220 years old national wine museum with its cosy environment and gypsy music. The beauty of Eger's nature, its environment, and its tourist attractions offer an unforgettable stay for all who visit this jewel of Eastern Hungary. Offering you our services, we would like to make your stay in Eger even more unforgettable. Major credit cards and traveller checks are accepted. • Full board is available at 7800 HUF per person. These rates include breakfast, usage of the wellness area with bathrobe and an entrance fee into our National Wine Musuem. The Vintage rooms can be found in our B. building. You can choose between double, twin and king size bedrooms. We can put an extra bed into 2 double rooms. 4* category room type. Double or twin rooms, equipped with bathroom, toilet, hairdryer, air conditioning, telephone, television with exclusive furniture, bathrobe.